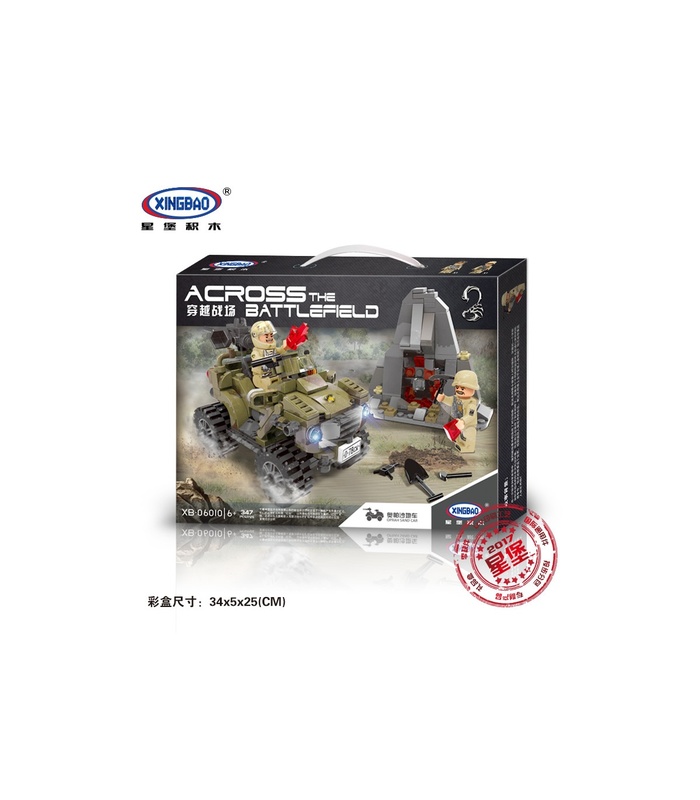 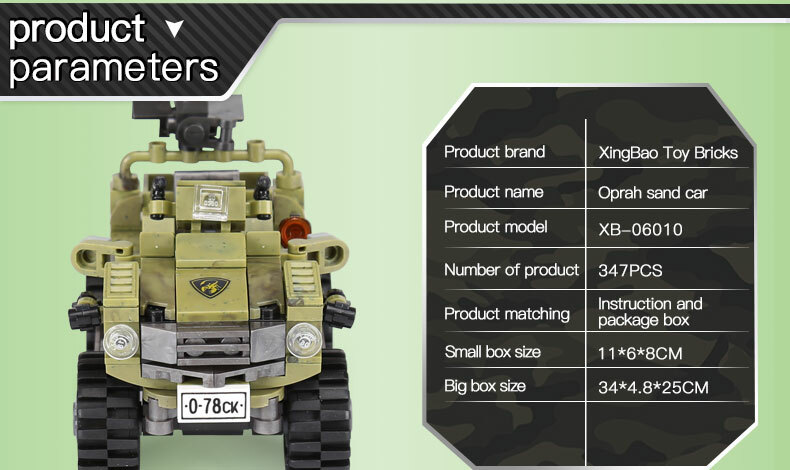 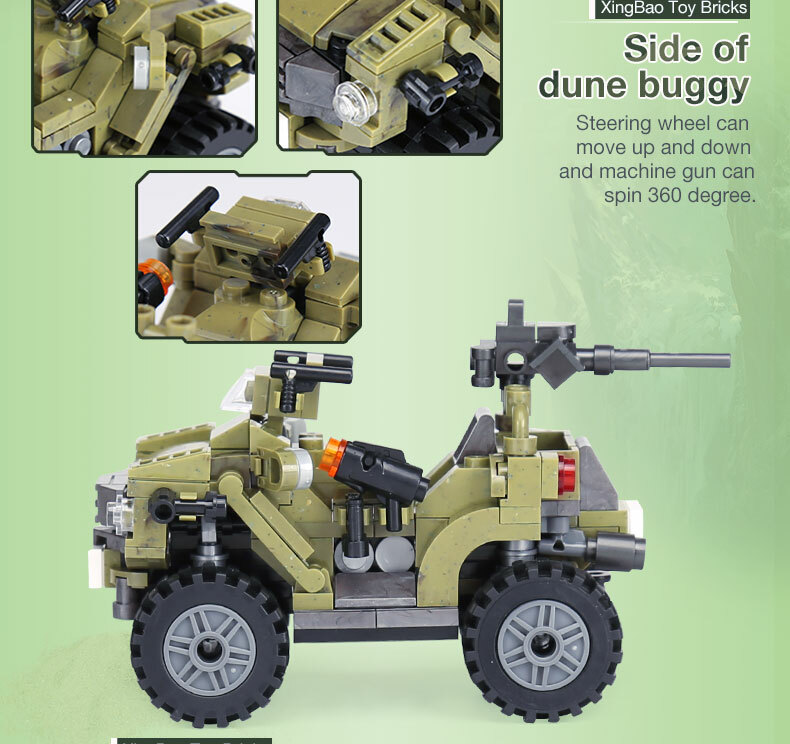 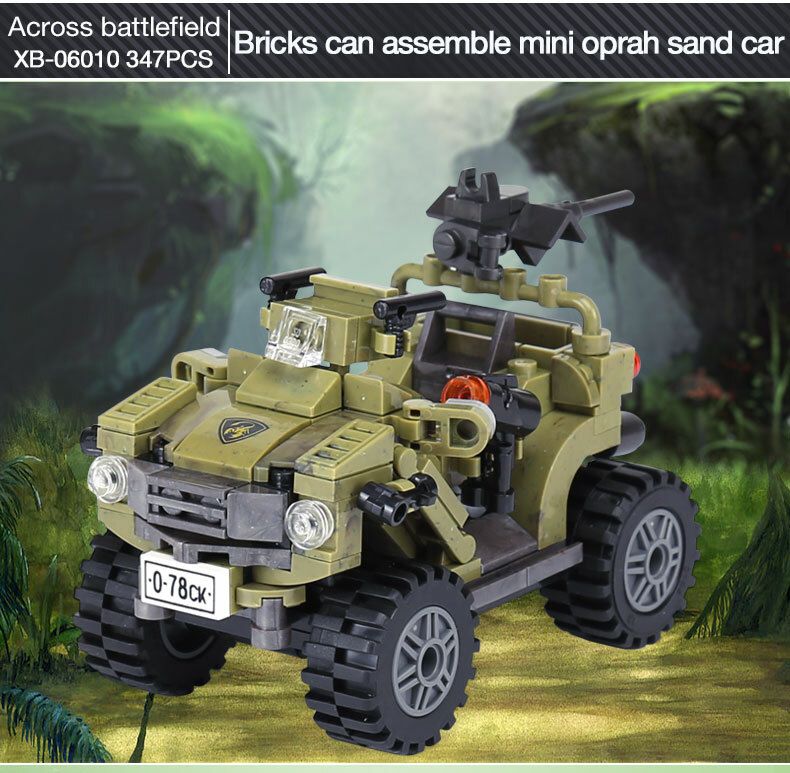 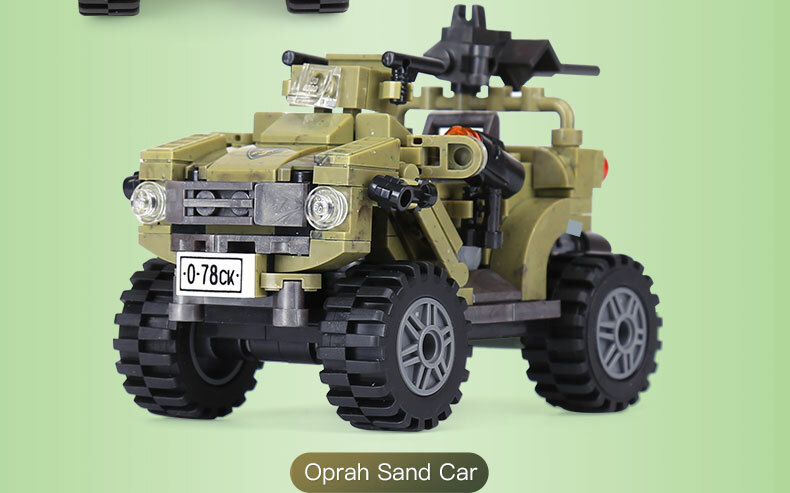 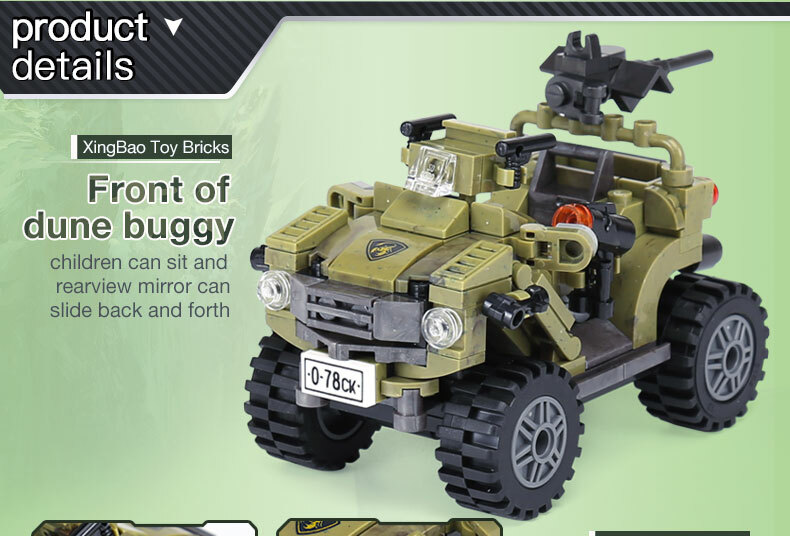 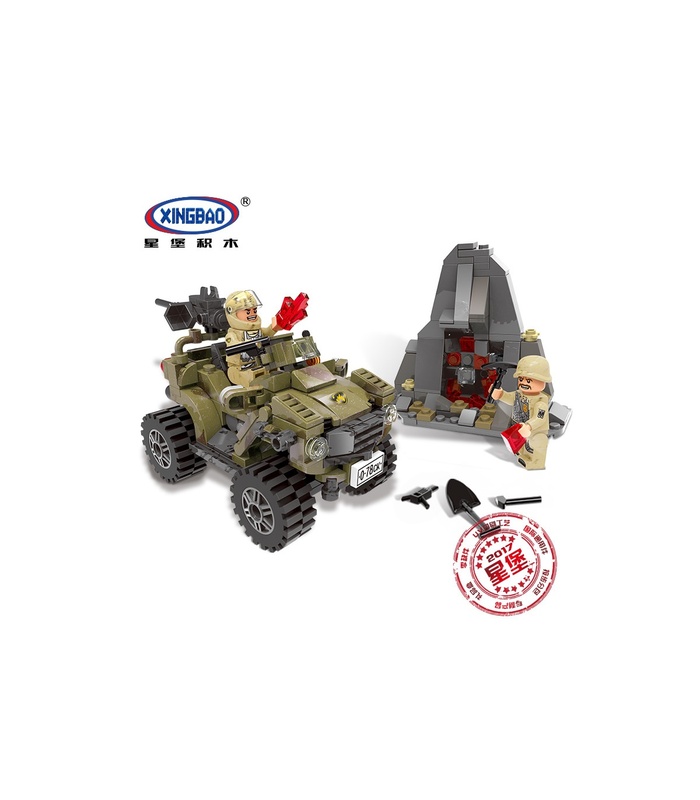 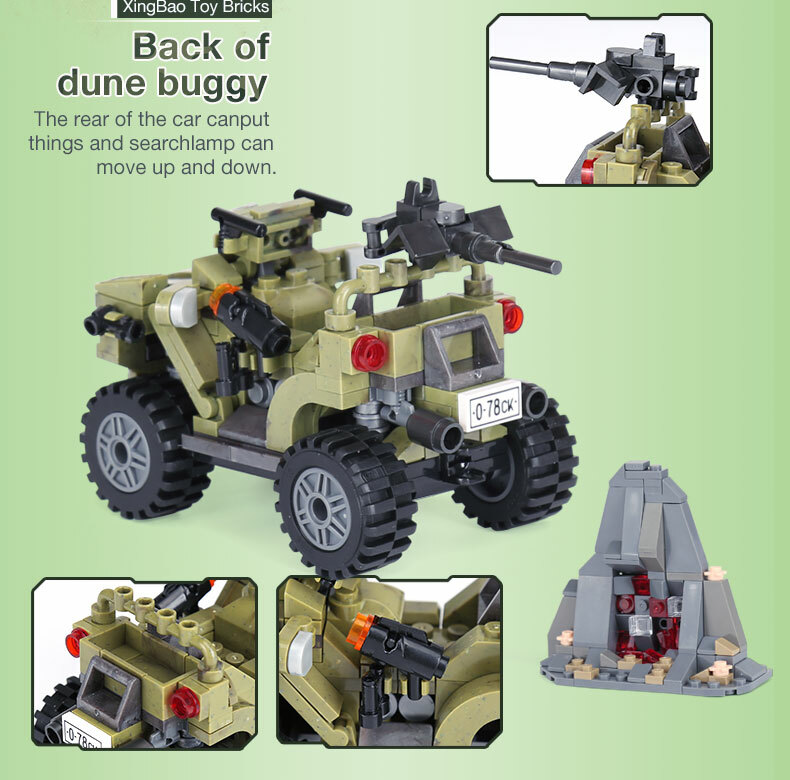 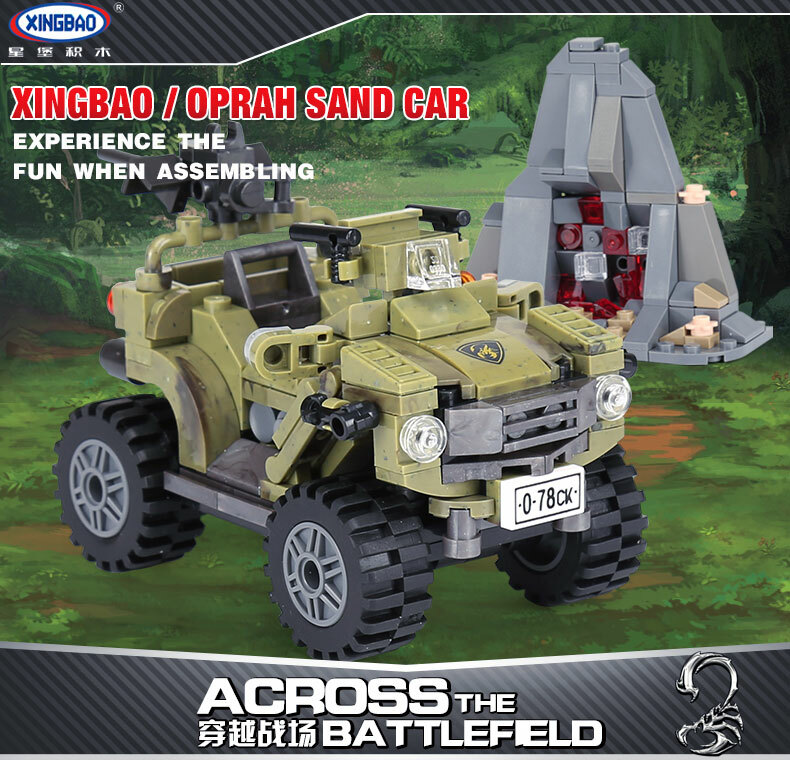 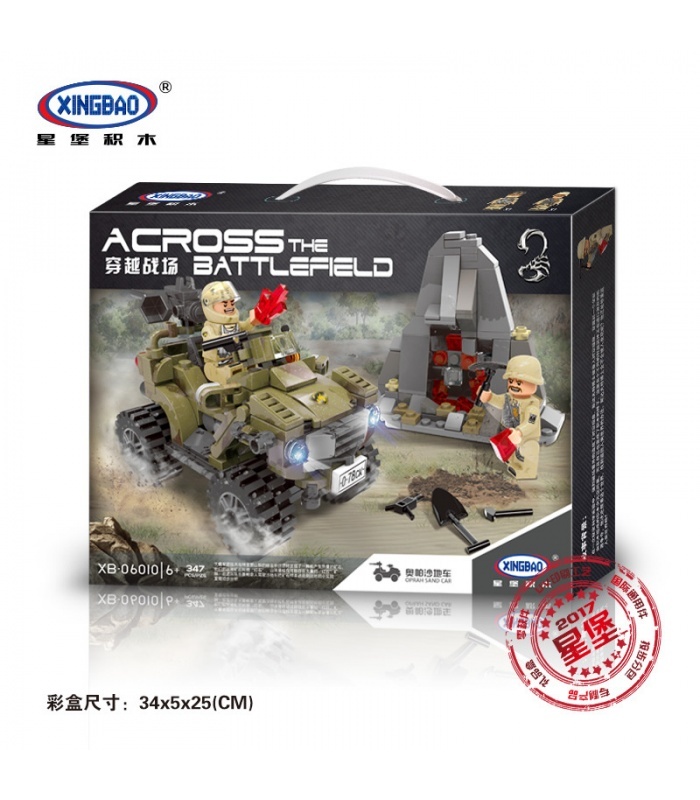 XINGBAO 06010 Oprah Sand Car is a MOC (My Own Creation) building blocks set which is 100% compatible with all major brands building bricks. 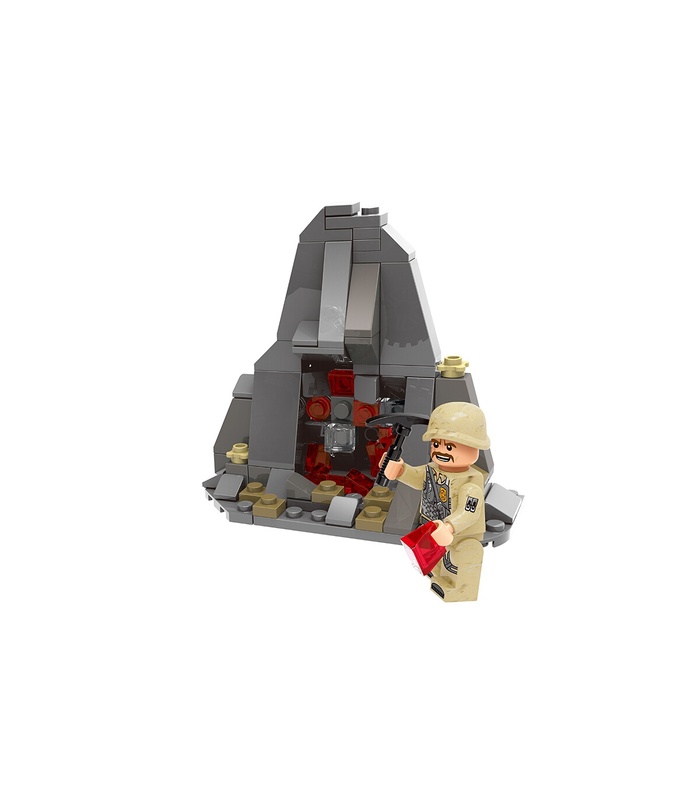 When the Scorpio Corps patrolled the canyons of the Tries Mountains, it discovered an ore that produced heat. 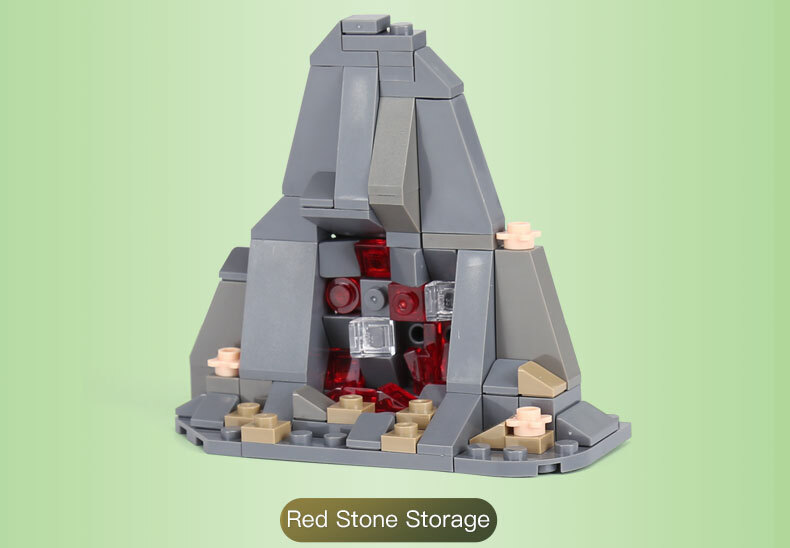 They called this ore "red stone." 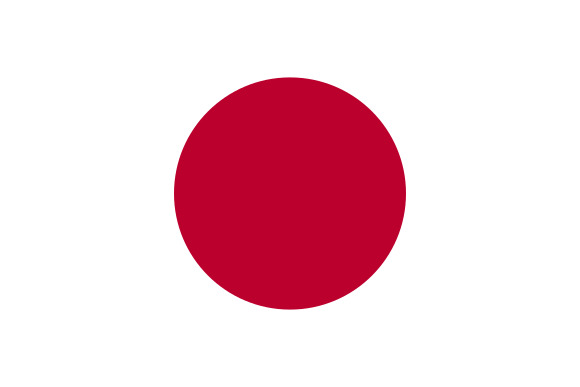 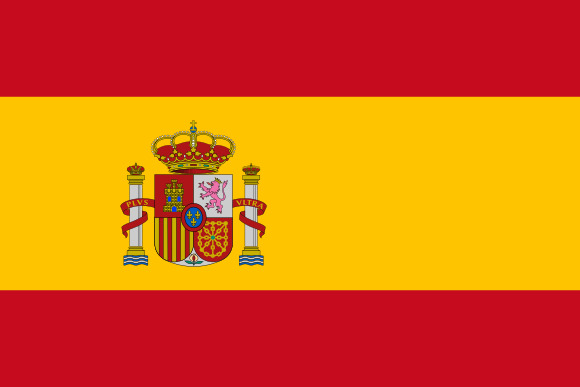 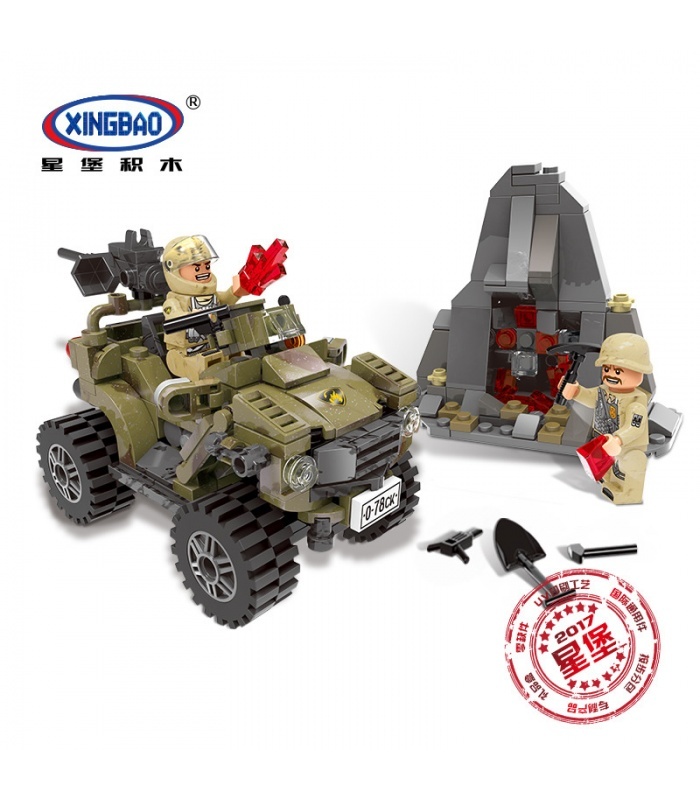 There is a great possibility of a large number of "Red Stone" veins in the mountains. 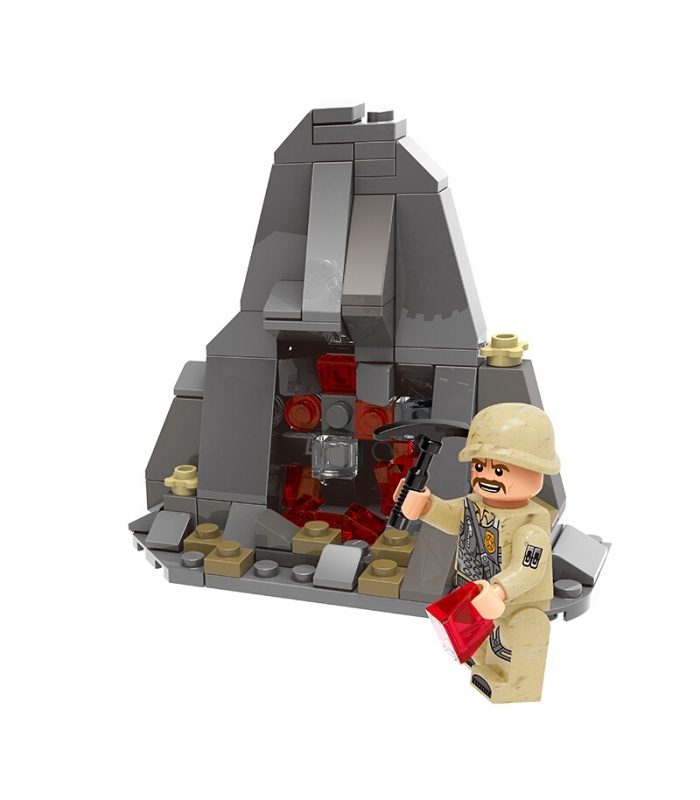 The patrol captain Opa ordered the driver to drive the mountain bike and sent the ore sample back to the small laboratory in the station for preliminary analysis. 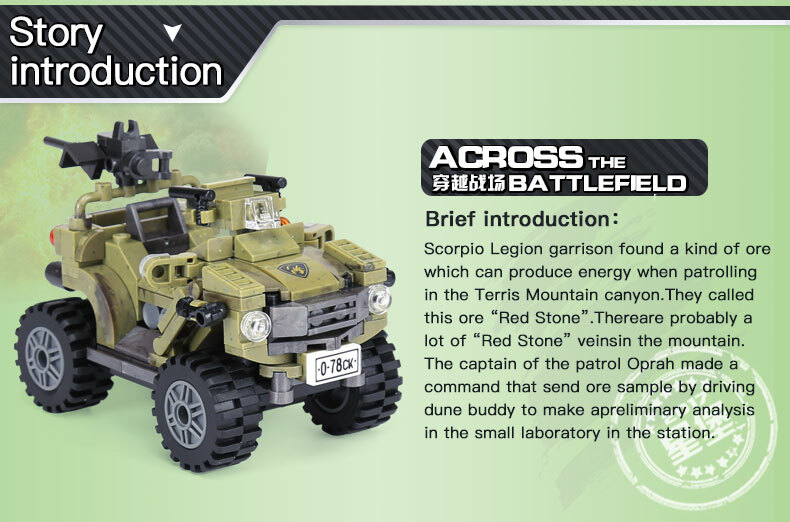 • Features: "Red Stone" element, rotatable machine gun, rotatable rearview mirror, vehicle with air intake grille, manual steering wheel. 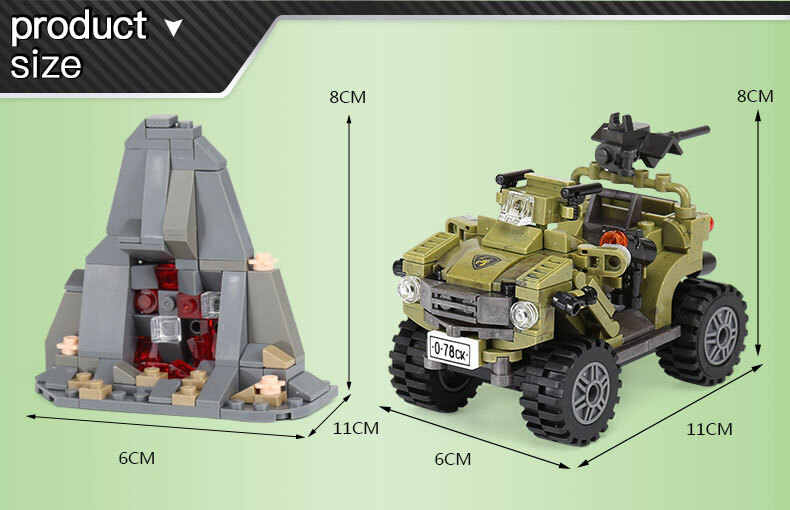 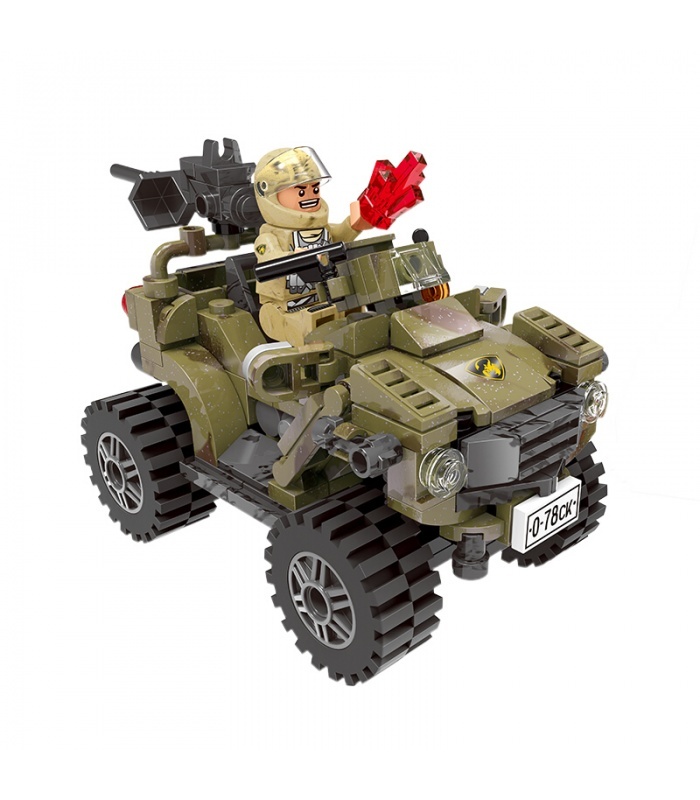 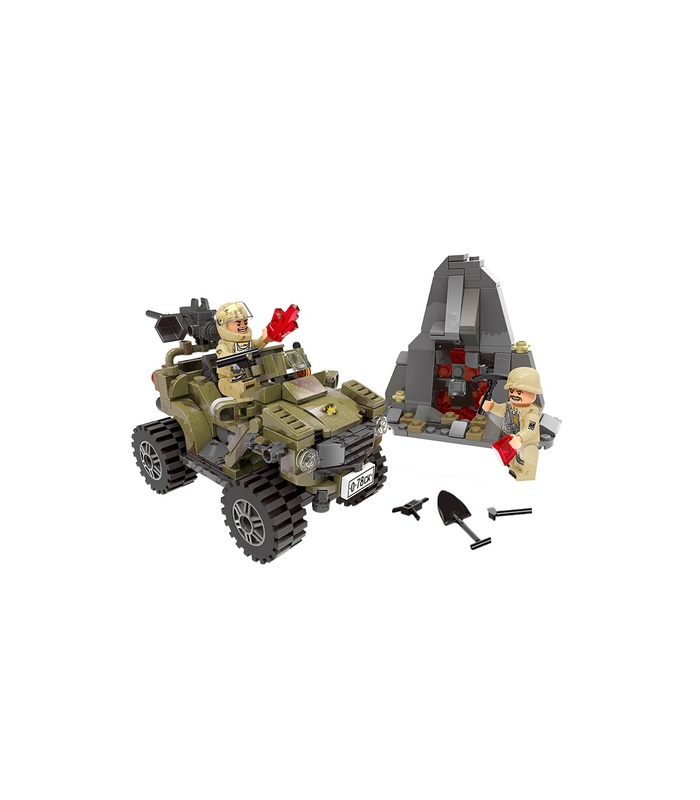 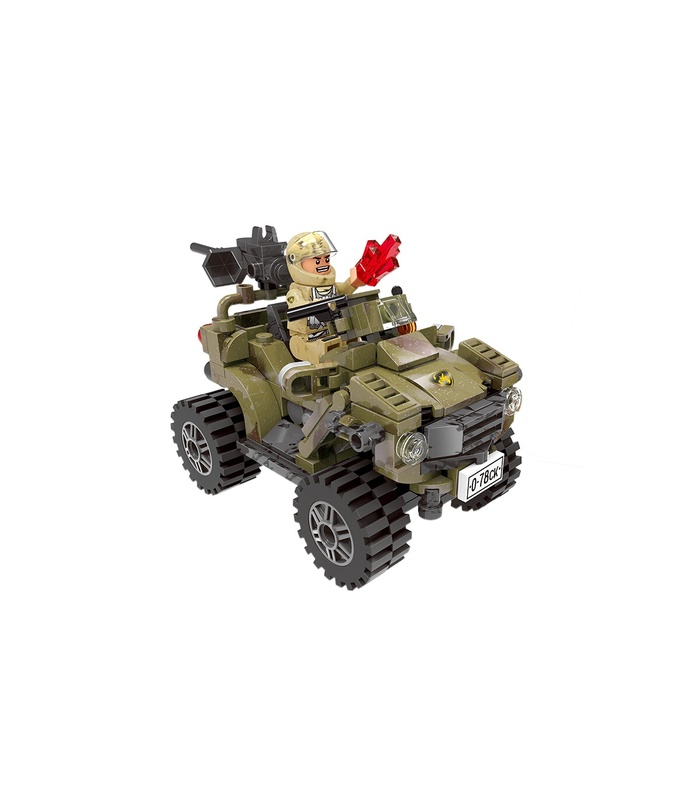 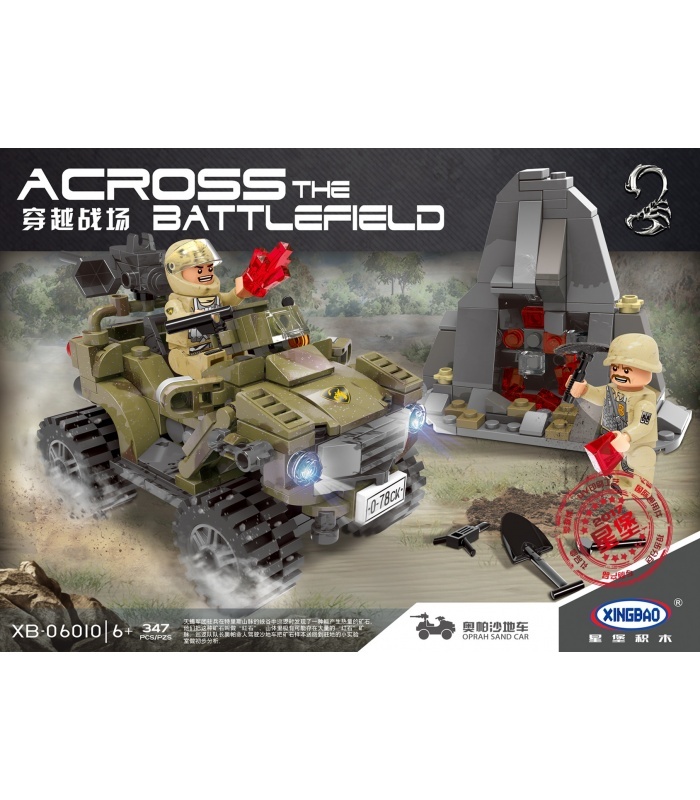 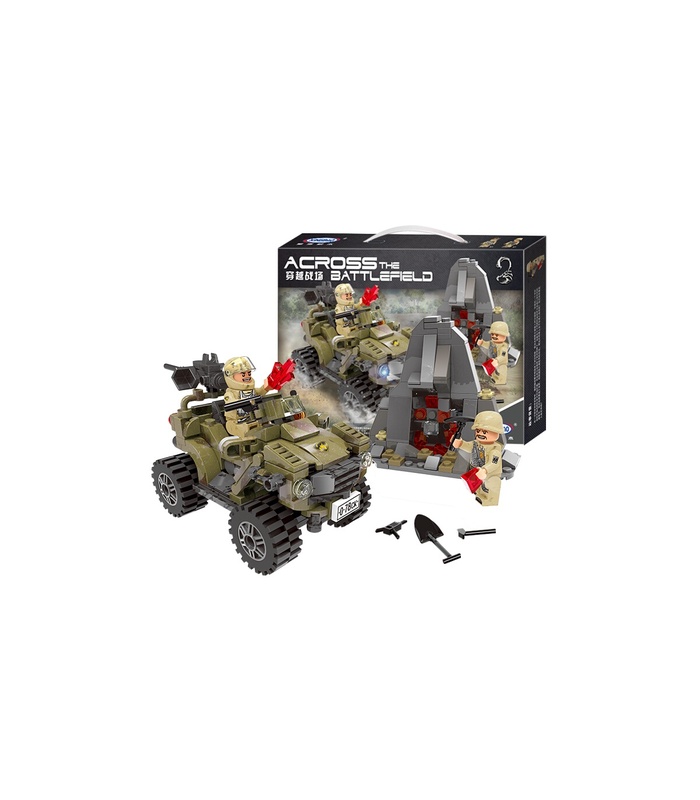 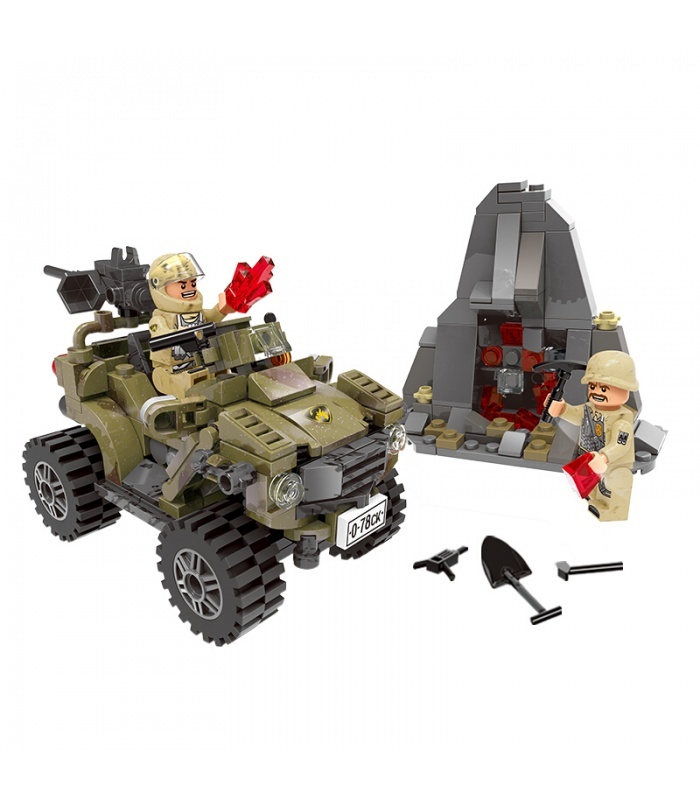 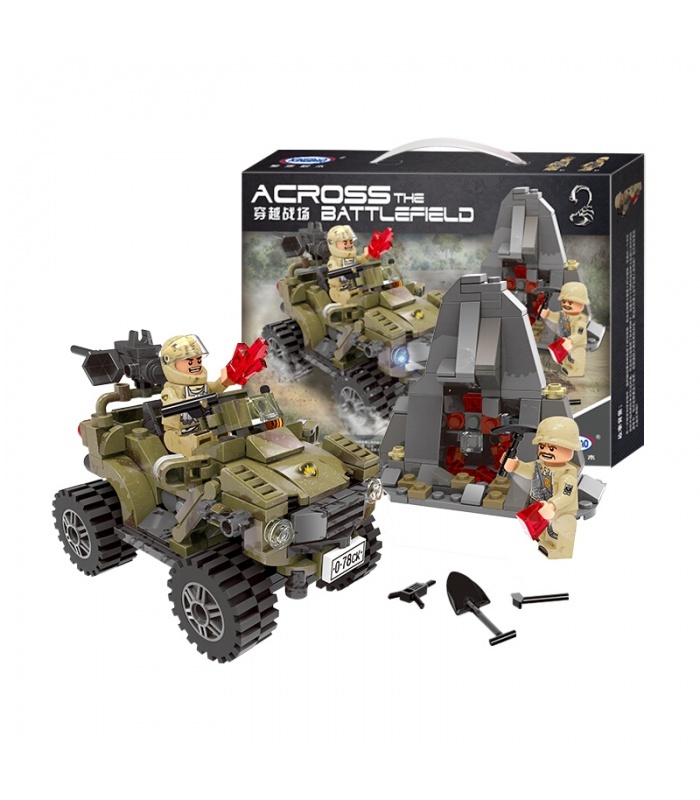 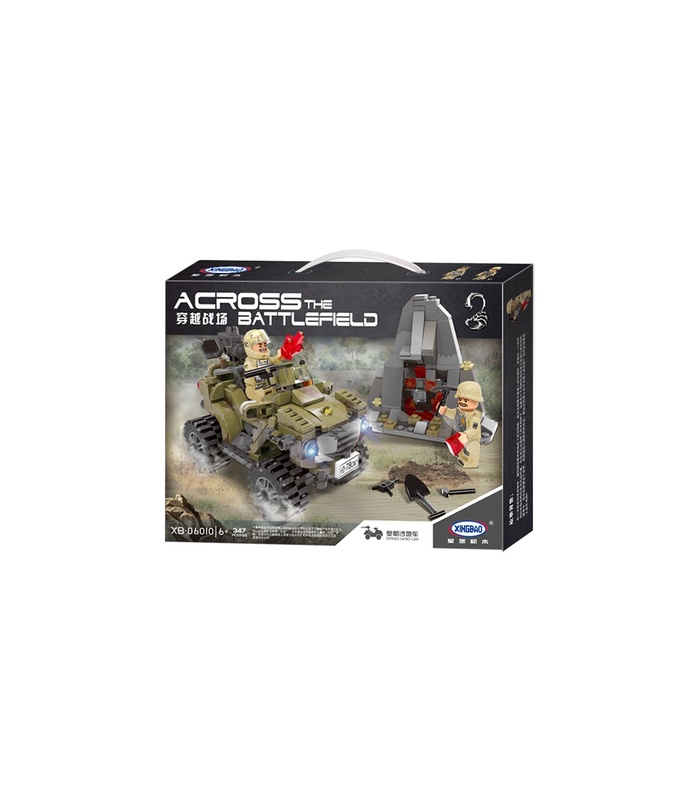 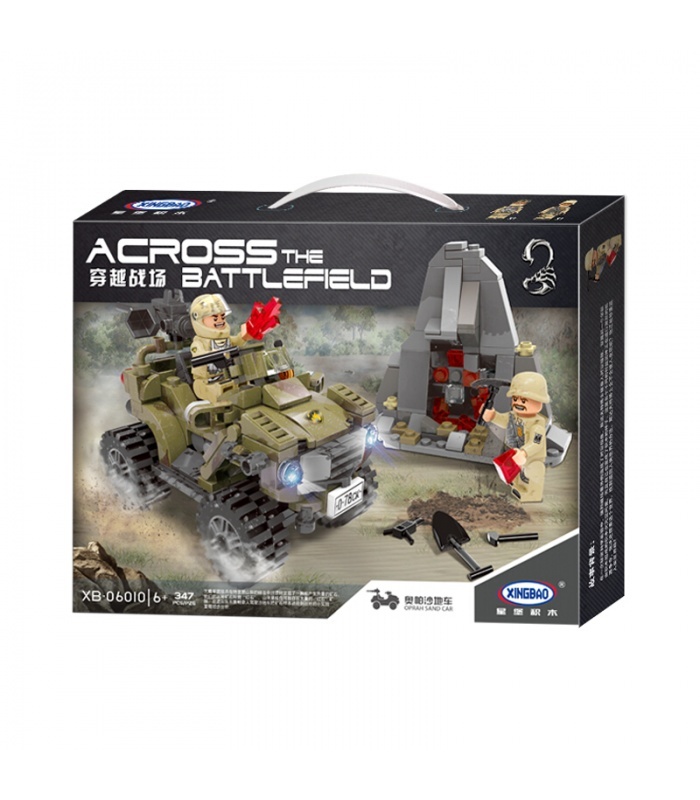 • This set is compatible with brand bricks and contains over 347 pieces.